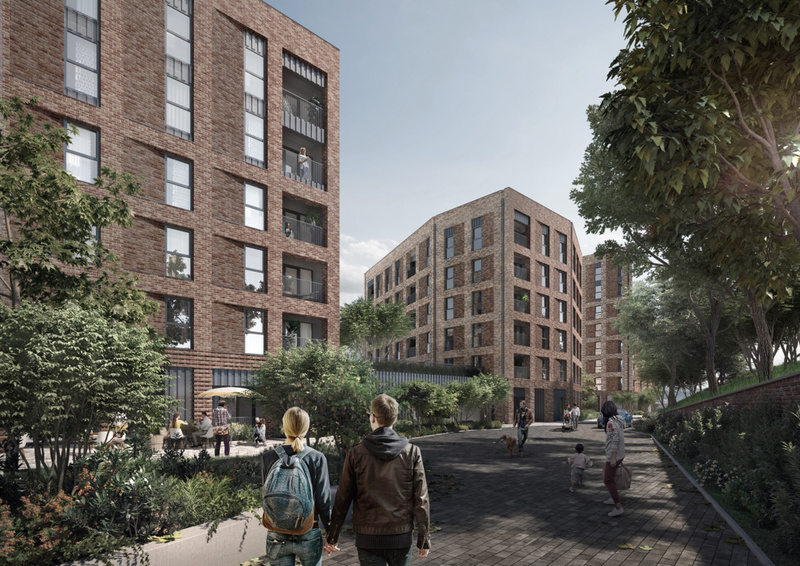 Brighton & Hove City Council has approved proposals for a new 152-apartment scheme in Hove. 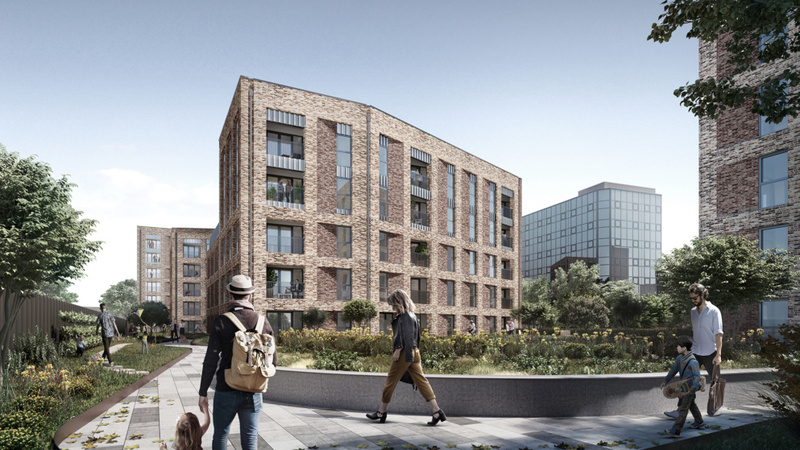 The Broadway Malyan-designed scheme for developer Crest Nicholson comprises 19 studios, 49 one bedroom, 76 two bedroom and eight three bedroom apartments across four residential buildings of between six and eight storeys. 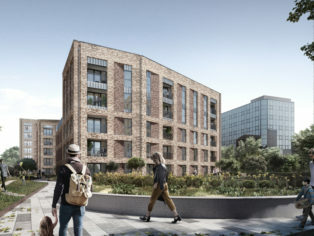 The scheme, which is proposed for the site currently occupied by the Peacock Industrial Estate, also includes two live/work apartments, just under 700sqm of office space and an underground car park for 80 cars and 174 bikes. Ten percent of the apartments are earmarked for shared ownership. 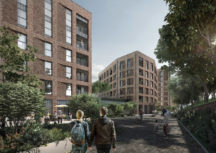 Broadway Malyan Director, Stuart Bertie, who led the design of the project, said the scheme would create a new residential community on a key brownfield site earmarked for residential-led, mixed-use development in the popular seaside town. 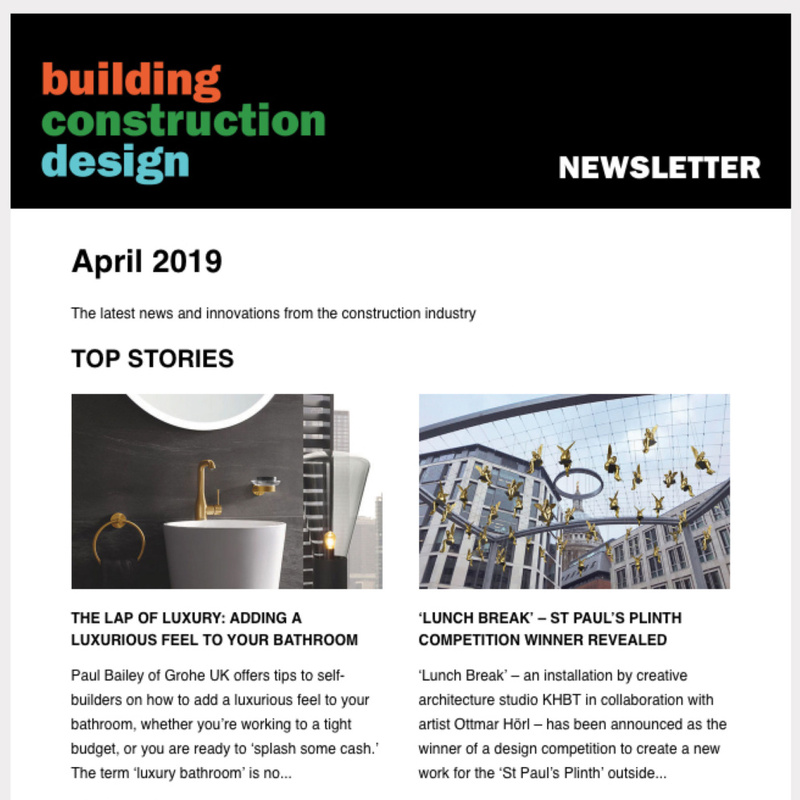 “Our approach for Lyon Close was to create a scheme with placemaking and sustainability at its heart, creating a calm and green oasis within the existing townscape. “The development uses a simple but distinct architectural language with a restrained palette of brick and metal detailing, which references the ordered facades of Hove’s Regency heritage architecture. 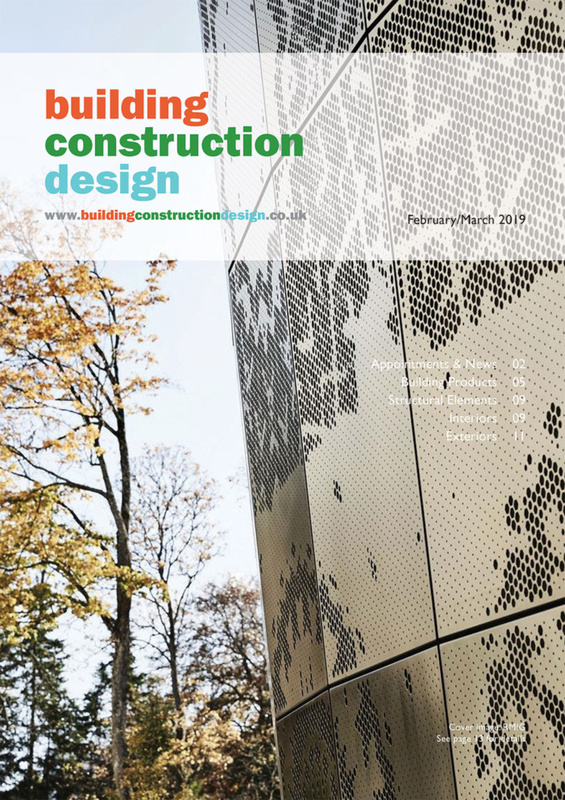 “The building orientation maximises views through the extensively landscaped gardens, which are accessible from each of the residential buildings and will include a dedicated children’s play space. The landscape itself is an archipelago of planted islands which creates a pedestrian-focused environment, guiding movement and forming safe, usable spaces.